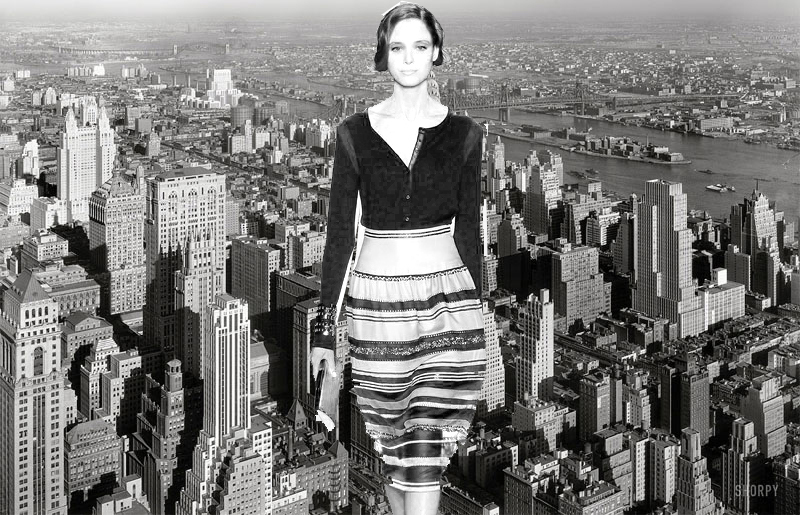 In 1947 Dior swept wartime austerity under the carpet and launched The New Look onto a fashion starved world. 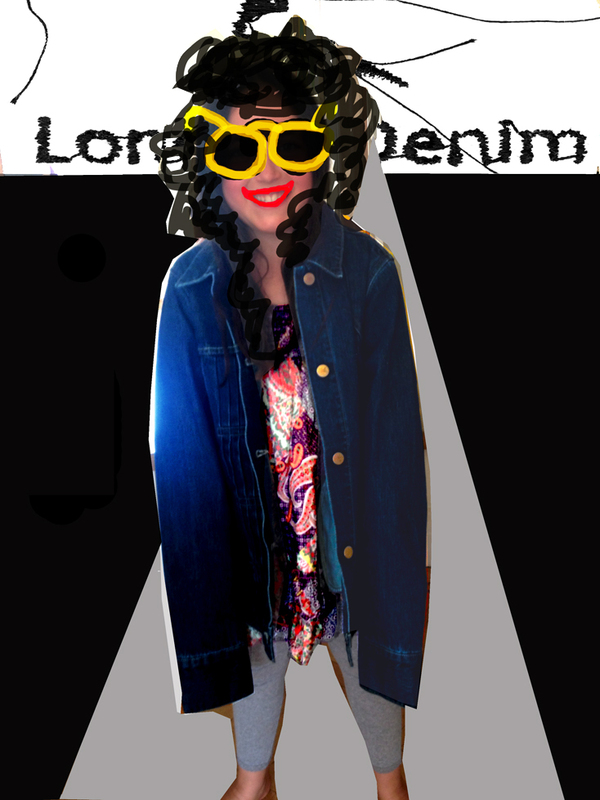 Now in 2013 ‘He’s A Talented Boy‘ brings you a London Denim exclusive “The HUGE Look”. You heard it hear first and this is going to be HUGE! At the start of the week my phone burped out a lovely little dinner invite from Slinky and Mr Batting for Lashes which we gratefully accepted. (Dinner with Local friends where we can walk home on late balmey summer evenings are some of our most favurite times in this city). Sitter for boy was procured with and with a 1am home deadline we set off. Needless to say Slinky put on a great spread, we chatted, smoked ciggies in the garden and drank buckets of wine. A strange highlight of my evening caused me to linger in the little boys room. Not the fantastic Baked Camembert and pear. Not the great perfectly roasted beef. In fact it was none of the cooking which was perfect and would have in no way caused me to linger in the little boys room. 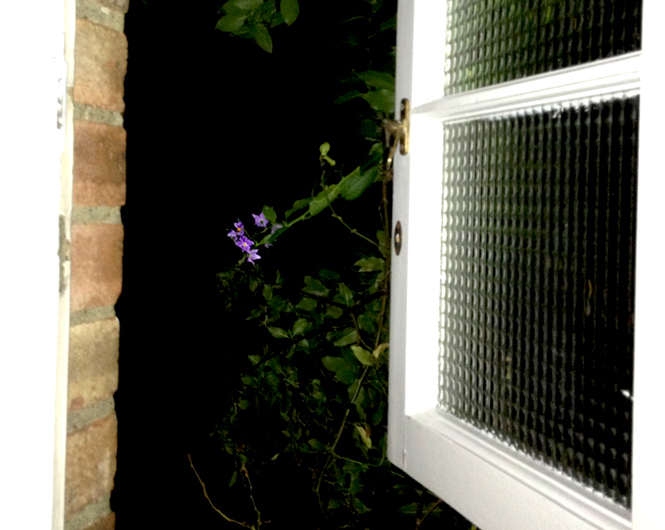 It was the lovely bloom off purple somthing hovering right outside the window. Boys will perhaps appreciate this centiment more than girls as we pee standing up. Sometimes we can be so focussed on just doing the job in hand that we miss things which are right in front of us. The other place this has happened to me is the Centre Point club who’s loos which afford a spectacular view of the city. The first time I went in there I totally missed it and it was not till someone commented on the view from the loo that I had to go back see for myself. Duh..
1. Slinky and Mr Batting for Lashes upstairs little boys room with the solitary purple bloom. 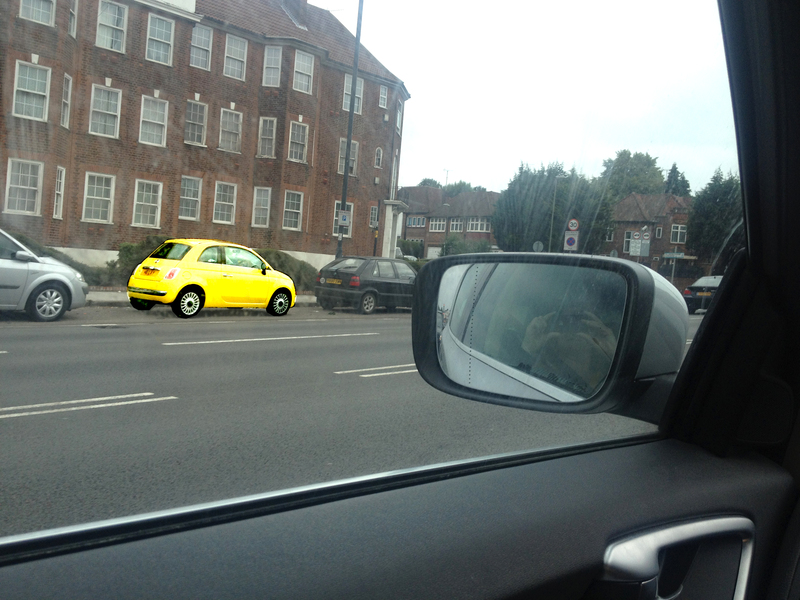 Yellow Car – Game of the Summer! Wife screams “YELLOW CAR” and jabs at the air in the direction of her target. In what was probably the most dangerous driving experience of my life the whole of our little family became embroiled in the most competitive game on the planet: YELLOW CAR. Causing family feuds, arguments and verbal abuse we played the game to a point where we all had to agree to stop for the benefit of our relationship. It was only then we discovered the game has a twist in its tail: Once you start – you can’t stop! 1. Point your finger at it. 2. Shout at the very top of your voice YELLOW CAR. If you are first this gets you a point. 3. Like the umpire in tennis you instantly recount the score for everyone playing. If you don’t shout it does not count. The car has to be yellow not gold or beige. There are no winners – there is only the person currently in the lead. When do you stop playing yellow car? 1. At Mevagissy driving along the harbour wall with a sheer drop and Wife spots a yellow car the other side of the harbour. She shouts yellow car so loud that I think I’m going to hit one of the tourists and nearly swerve off into the sea. 2. Wife and Boy get so dissalusended with my success in the game they decide to team up and are instantly in the lead by 10 cars. 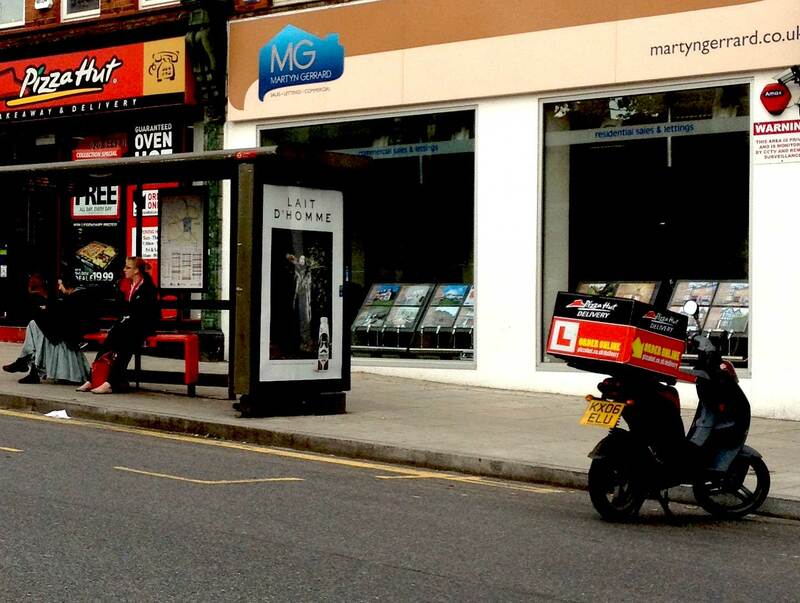 Naturally I get the hump and don’t speak to anyone for 10 minutes causing them to increase their lead by a 2 cars. 3. When you pass a full supermarket car park and the driver takes their eyes off the road to scan the hundred or so parked cars. After these situations I ordered the car to stop playing but immediately broke my own command when a little yellow mini appeared in my rear view mirror. Once you start you just can’t stop……. 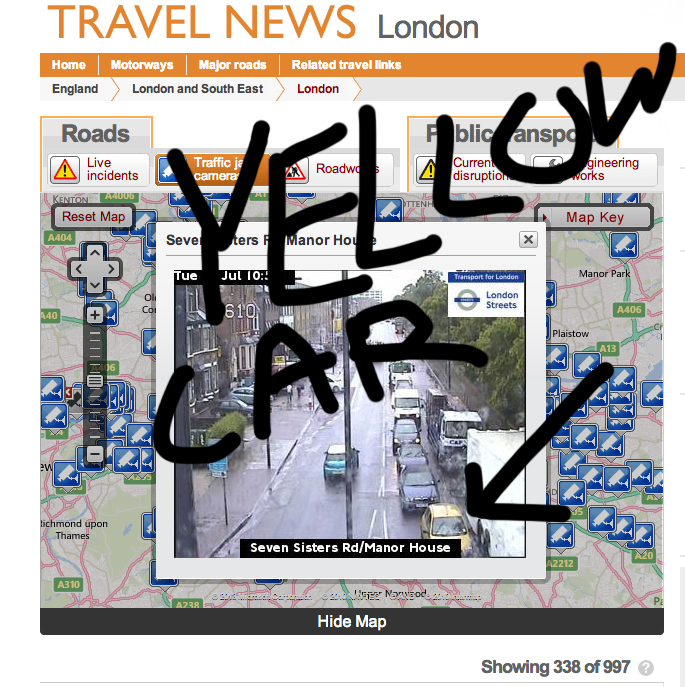 Yellow Car on London Cam! MMM – Loved the show but Couture? 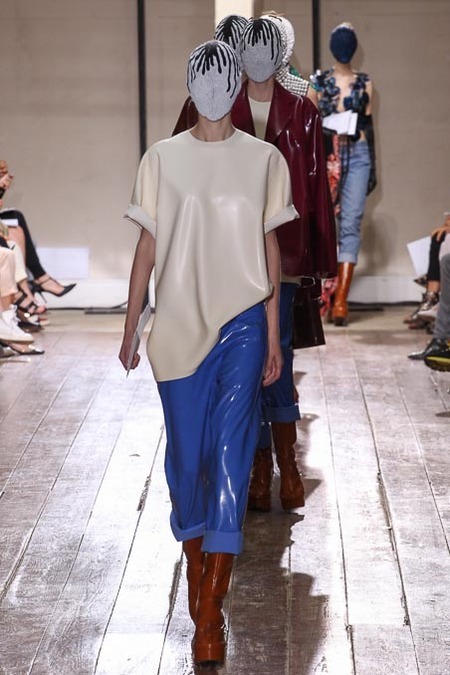 Maison Martin Margiela – Couture? The Lee Bowery mask, flower trimmed gowns, plastic coatings all marvellous but Couture? Just love that the girls are all carrying invitations, perhaps to somewhere they would rather be? An old adage surfaces in my mind: Reduce your model bill, pick the new girls and put masks on them….. The thing about masks is they hold your gaze, you get captivated by them, your mind asks questions – How do you breath, can you see, what is the person like beneath, what are they looking at. The freedom they give to the wearer is denied to the viewer so all of our attention is drawn to them. Was that the idea here? To draw attention away from the collection? Like many couture pieces they won’t work on the screen, you’ve got to get your hands on them to understand them. That again is the issue with contemporary couture, its like contemporary art, half the time you need the show notes to understand what was in the designers / design teams mind. Couture is developing, its gaining a wider audience and perhaps this is an interesting direction to explore. Explore the MMM collection on Style.com here then pop over to the Dior show here to reassure yourself that all is right with the world after all! PS. Love that 10 pairs of jeans got into this show. (Rather assuming that the plastic coating is on denim?) Perhaps MMM’s owner Diesel gave them a bulk discount? Driving up the A1000 yesterday and clocked this bus shelter ad. It looked like Dior or Saint Laurent. I clicked it and forgot about it till this mornings phone cleanup. The ad campaign is for a chocolate milk drink. 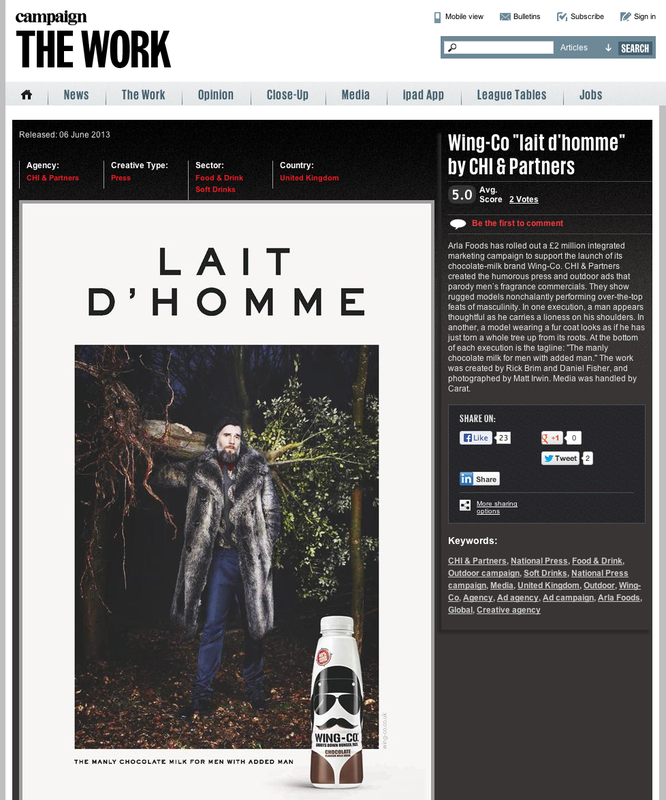 The guys behind it thought to parody fashion advertising to sell their drink. A smooth idea however the execution totally lacks bite as the product is lost amongst the unmistakable DNA of a fashion industry poster. Perhaps these were executed a bit too smartly? It must be my age as I don’t get the almost hidden strap line either: The manly chocolate milk for men with added man. A looser photographic interpretation of the creative direction may have worked better. Will be interesting to see if their Media buy extends past Bus Shelters and onto the pages of GQ, ARENA etc…My opinion: 5/10. 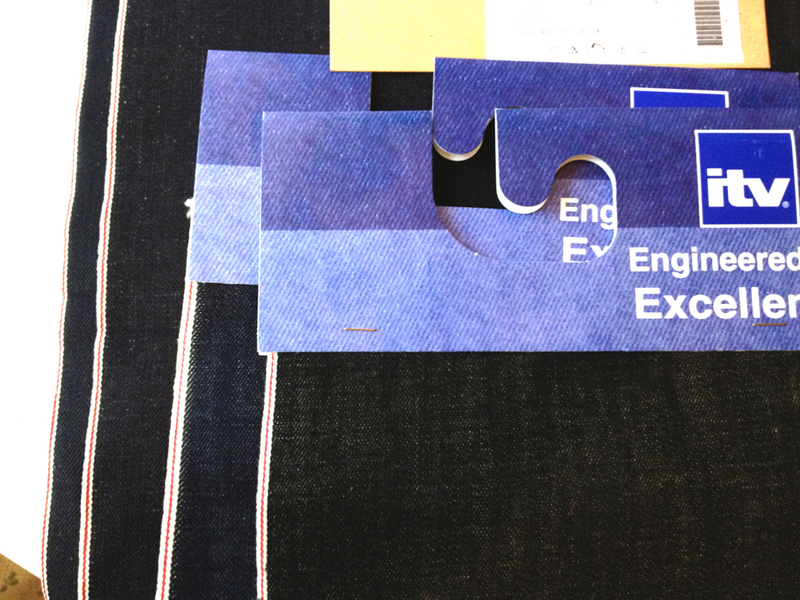 I’ve been chasing up Italian Selvage Denim mills ever since my visit to Italy last month. Denim hangers (Samples of cloth) have started popping through the door. Currently there are only 3 mills in Italy that I can find who are producing the Selvage denim I need to make London Denim jeans and now I’m in touch with them all I’m nearly ready to start sampling London Denim – Made In Italy over there. I’m going to use Italian Selvage Denim rather than Japanese which seems to have a much softer handle in its Raw state than Japanese. The Italians have a long history of making denim but sadly under competition from China and Turkey mills have been closing. I worked with Legler Mills over there about 7 years ago with a couple of great qualities but sadly they went bust. I’ve made subtle differences in the specification for the Italian models which is going to help differentiate between makers. With Peter my partner in Japan briefing the Japanese factories this week its now only a short time till London Denim mens becomes a firm reality.